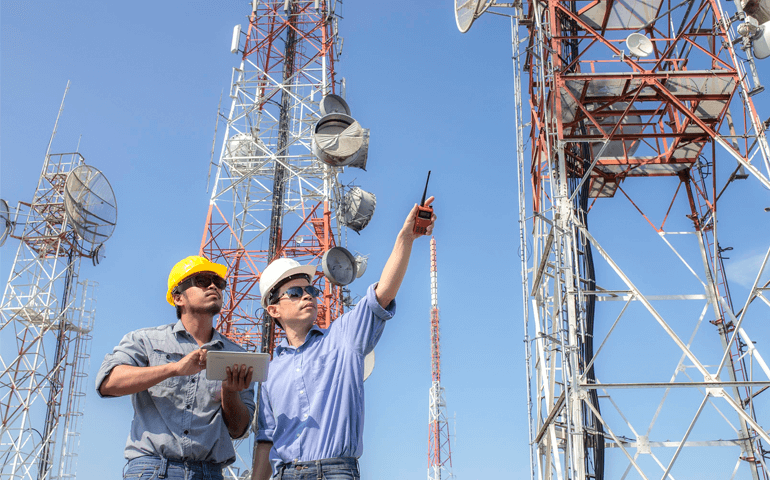 Share the post "How augmented field service management is revolutionizing the telecom industry"
A telecom service provider is responsible for the livelihood of innumerable businesses that rely on functioning networks to carry out every day processes and operations. As network access continues to be a penetrating point for almost all organizations and individuals, fast service turnaround time is the prime concern for the telecom industry. Field service management faces numerous service requests that are not only time consuming but also require precision and expertise. Network Service Turnaround Time According to The Service Council, the average first-time fix rate for an organization is around 77%. According to this statistic, field technicians have to do at least one follow-up visit for about 23 percent of all service calls. These repeat visits affect cost, asset availability, and in some cases, response time. For telecom businesses with more employees, underused resources can quickly compromise the bottom line. Without visibility into field tasks in other operations of the organization, executives assume that the field work force is underutilized or at the very least inefficient, resulting in continuing pressure to do more with the existing resources in place. 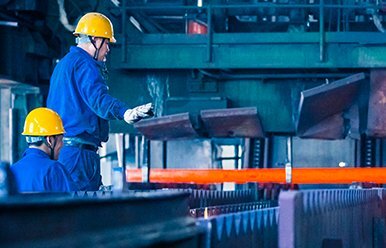 In addition to increasing the company’s reputation, and making the most of available resources, there lies the concern of safety and liability for workers visiting hazardous locations. List of service requests are ever intensifying; it is vital for managers to know where their field service personnel are located and what their availability is at any given time. 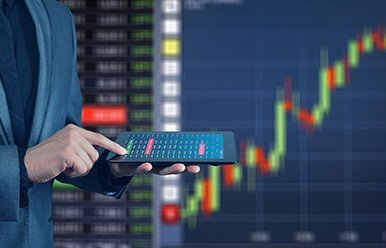 According to McKinsey, costs can be cut by up to 90%, and turnaround times reduced drastically through the digitization of information-intensive processes. The question is how to empower experts to help solve problems remotely. 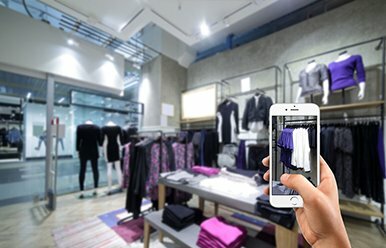 Augmented reality is the solution that addresses this issue. With ODG R-7 and R-7HL, the Osterhout Design Group (ODG) claims to have developed the perfect AR smart glasses for heavy industries like mining, oil and gas, and telecom. 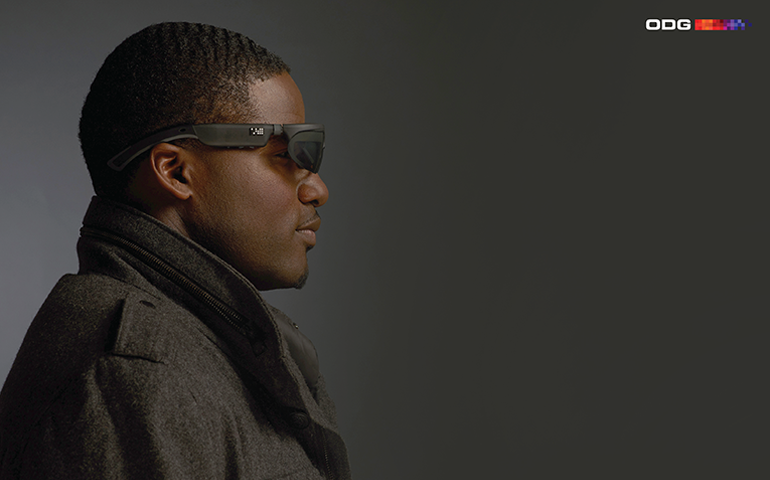 ODG’s glasses, along with an app, provide users with 3D graphics overlay in a hands-free, heads-up format. The positional sensors enable the glasses to know where you are, where you’re looking, and how you’re moving. This gives users a precise AR experience. Field Alpha is Softweb Solutions’ augmented reality based field service application that uses ODG R-7HL. It provides an integrated experience from the company’s software ecosystem and knowledge base. Experts and technicians can leverage helpful information on their screen, augmenting the reality with 3D graphics. 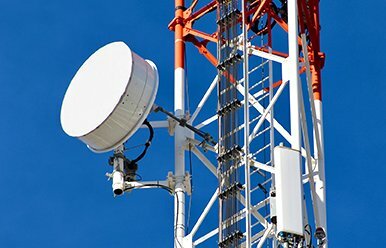 With AR field service app for telecommunication, images of the inner anatomy of complex machines like RF masts and towers could be overlaid on its exterior. This provides service technicians with a detailed guide to further perform repairs and maintenance. Remote drawing, document sharing, co-browsing, live pointers, and many such useful features make guidance more efficient by leveraging AR for field service management. You can easily determine the scope of work, the tools required and estimated repair or maintenance time. This helps in routing challenges by avoiding unnecessary on-site repeat visits. 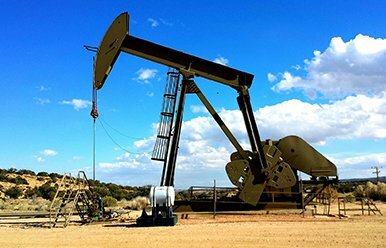 Field service technicians can identify the components of complex machines like transmitters and receivers of the communications satellites by scanning and fetching its information just in front of their headset. Field Alpha can be leveraged to carry out AR simulations of hazardous conditions. The field engineers can be trained without them having to risk their lives or expensive equipment. The field operations staff that needs help, can stream what they’re seeing in real-time to the experts located offsite and ask them for advice. 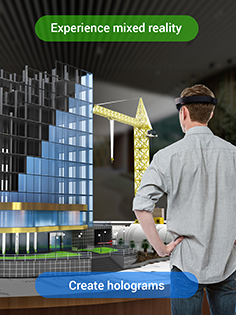 Senior engineers or experts can share the point of view of the technician wearing R-7 HL glasses while working on-site and can provide immediate instructions using an overlaid augmented reality marker. The field service engineer can view real time data of the equipment based on voice command. This enables the technicians to carry out hands-free visual collaboration while working on machines. The field service technician can quickly pull up the records on his headset to access the previous work done on the equipment. For any enterprise, whether medium or large, field service is a vital component of customer service. 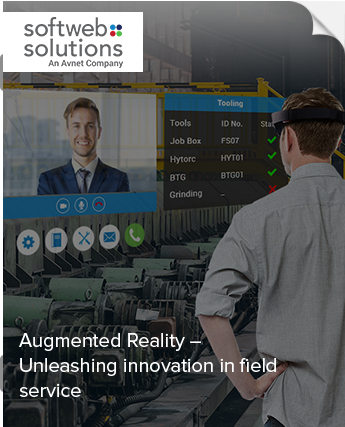 A lot of leading organizations have already adopted AR-based field service solution integrated with headsets, tablets, and smartphones and witnessed enhanced productivity and reduced costs. Field Alpha has implemented a very unique approach by providing an integrated solution which is more readily adapted to the field service workflow. Field Alpha is empowering centralized experts to support the field force. 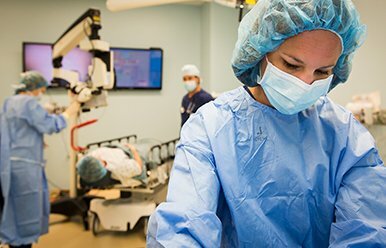 The technicians are ensured with the fact that there is plenty of expertise shared between them via shared support provided by the ODG R-7 HL glasses. The plus side for field service is that the ODG R-7 HL glasses are robust and can be used in tough environments. Field service digital transformation was initiated with replacing paper by digital documents. It further adopted multiple technical advancements. The next wave of field service digital transformation has arrived with IoT and augmented reality. This highlights both self-diagnostics and human intervention. The question, however, is how can we empower experts and technicians to be more efficient in the variety of their tasks, in an always connected, technological, and complex environment? Augmented Reality along with Artificial Intelligence is already drastically changing the way field forces are working together. The Field Service digital transformation is being embraced by several industries. Implementing this transformation of your software ecosystem and data requires interoperability with augmented video assistance. Field Alpha is our take on improving field service management. Leveraging ODG R-7 HL glasses, we ensure lesser resolution time, organized routing of technical support and improved and optimized service workflow. If you are a telecom service provider with an aim to digitize the world with minimal glitches, Field Alpha is your assistant that you can look upon. Talk to our experts to know more about our unique solution.